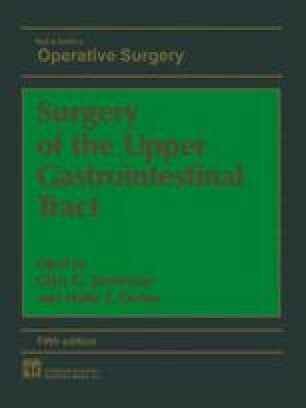 Eversion extraction oesophagectomy is a variation on the technique of non-thoracotomy oesophagectomy, introduced by Grey-Turner in 1931. The oesophagus is removed from the mediastinum by stripping, the technique being in all respects analogous to stripping a vein from the leg. Its feasibility is based on the fact that the blood vessels to the oesophagus branch close to its wall, so that only the very fine branches are blindly avulsed during extraction and these rapidly retract and stop bleeding.